Though not everyone had as great a time, the summer tour team-up of Jay Z and Beyoncé has raked in a ton of cash, and impressed most. Up next, the project will be the subject of an HBO documentary, and today we get a second taste with a new trailer. 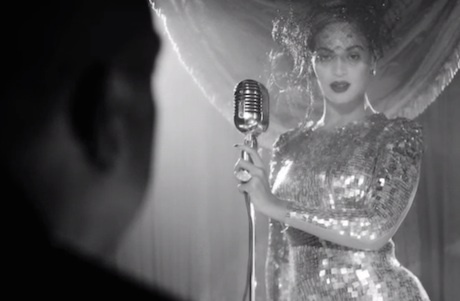 The 50-second clip sees Beyoncé offer up a sultry cover of Nancy Sinatra's "Bang Bang." Dressed in shimmering, shiny clothes and shot in black-and-white, it's all very restrained until the end, when the beat drops and we're treated to quick edits of concert footage. The On the Run tour documentary will be shot on September 12 and 13, and will air on September 20 on HBO. Watch the new trailer below.